(Advertorial) Intelligent solutions – new products – future trends: Hytera will present its innovative new concept at PMRExpo (Germany‘s leading trade fair for professional mobile radio from 27th to 29th November at Koelnmesse). What visitors to Hytera’s trade fair stand can expect: Hytera is presenting a total of four focal topics with its Public Safety, Industry 4.0, Disaster Relief and Events areas. In the Public Safety area, visitors will be able to experience firsthand Hytera’s convergent TETRA/LTE solution and a control room equipped with Hytera’s Integrated Command and Control (ICC) system. 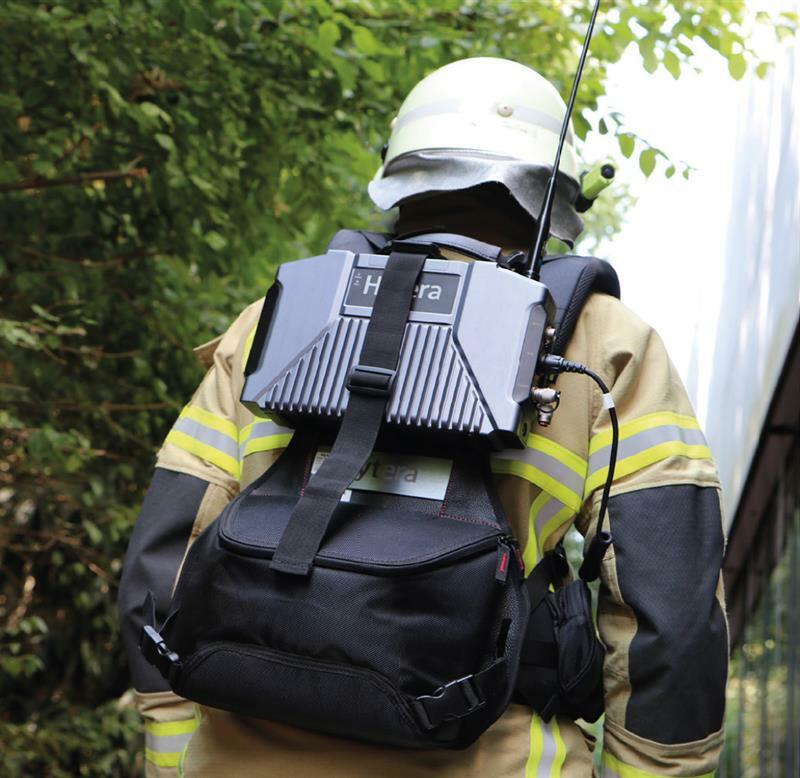 Hytera introduces the brand new Hytera Emergency System ES-100 at PMRExpo. This includes this E-pack 100, a digital, wireless ad hoc repeater. Hytera Mobilfunk is designing the Events subject area together with its partner Swisscom Broadcast from Switzerland. Taking center stage is the use of Hytera DMR devices in the world’s largest military ski mountaineering race – the “Patrouille des Glaciers”. With intelligent and innovative applications from prominent partners, Hytera is demonstrating the wide range and various possible uses of the new products and system solutions at PMRExpo – from monitoring solutions and solutions for safeguarding railway lines, via a messenger for mission-critical use, through to IoT applications based on a LoRa system. It promises to be exciting and varied. You’re in for a surprise! In a mobile world, teams need instant communication beyond the office or showroom. At the same time, more and more employees are using smartphones and other mobile devices in their day-to-day work. 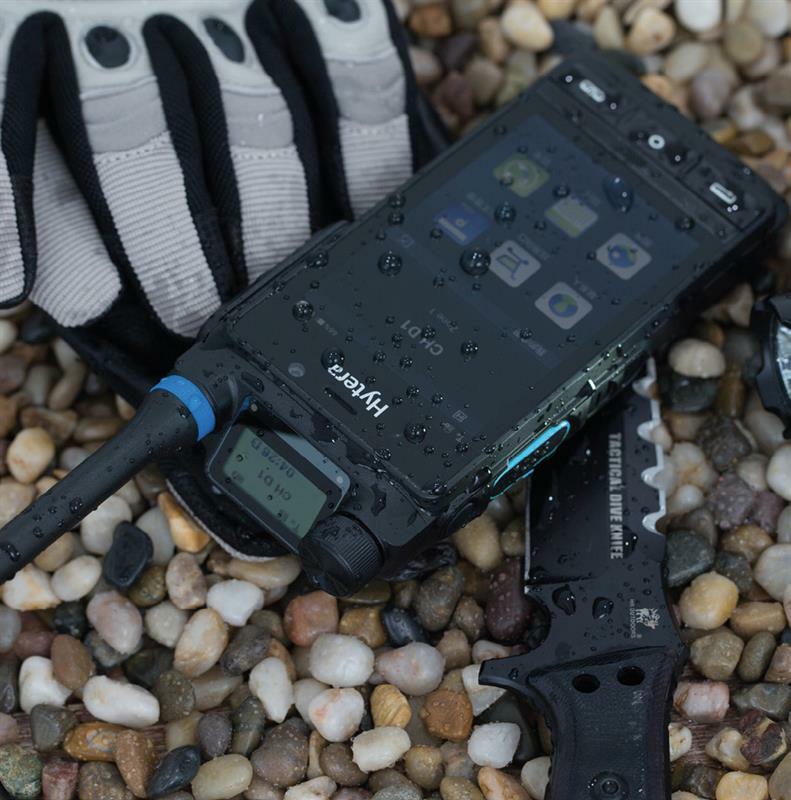 The PNC370 from Hytera makes it possible to combine Android and full PMR functionality: Different types of voice call, such as personal and group calls, with quick call setup and excellent audio quality, as well as app solutions tailored to the specific operation for improved management – any time, anywhere. The PNC370 is Hytera’s first broadband radio with a complete focus on PTT over Cellular (PoC). It uses existing LTE and Wi-Fi networks for voice communication and fast data transfer. As such, Push-to-Talk always enables flexible connection via 3G and 4G broadband services with a standard SIM card, while also offering excellent coverage in buildings via WLAN. Use of data in retail is a growing trend, reflecting the increase in customer-service requirements – such as retrieval of product details – and offering greater efficiency of warehouse management and inventory work flows. Short response times are fundamental, requiring high availability and fast data transmission. The all-in-one PNC370 radio guarantees quick response times via LTE and Wi-Fi, even in larger building complexes – a daily requirement in the communication between sales and storage locations, for example. Customer communication – efficient, direct, reliable Sales staff can communicate directly with warehouse clerks or sales staff at other sites using the compact PNC370. With Push-to-talk (PTT) – direct calls with maximum coverage and no call setup – employees will reliably reach the colleagues they need via a single server-based group call. Queries are answered quickly and customers don’t have to be kept waiting. The technical properties of the PNC370 eliminate the previous limits of radio coverage by combining the usual advantages of PMRs via PoC with the cost-neutral use of existing wireless networks from anywhere. The PNC370 represents optimized operations. PoC services and applications tailored to customer needs on Android devices, enable smart, efficient optimization of everyday operations – for example, to detect in good time when reverse vending machines are full or to check prices quickly and efficiently using a barcode reader. This enables the industry to take preventive action and use Android apps to prevent workflows from coming to a halt. Hytera will use PMRExpo to demonstrate exactly how the cost-effective PNC370 works for different sectors and branches of industry in practice. 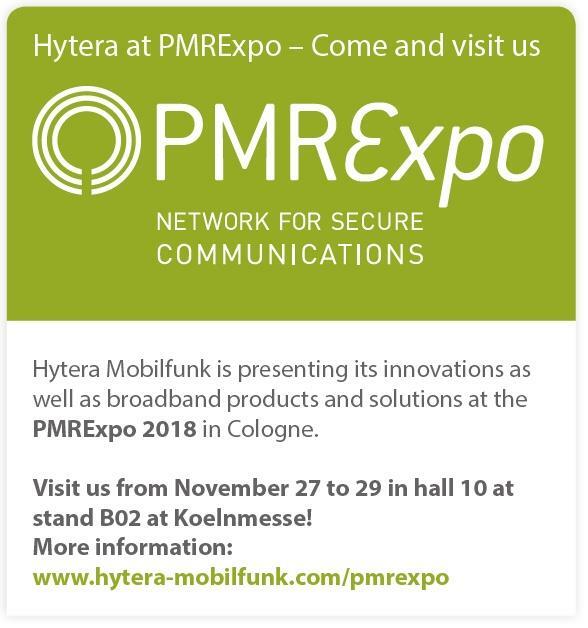 Hytera will use PMRExpo to demonstrate exactly how the cost-effective PNC370 works for different sectors and branches of industry in practice.